Hello! I want to thank Tawnya for allowing me to share this post and info with you. If we haven’t met, I’m Angela Wills, the Laptop Lifestyle Blogger and the owner of the Laptop Lifestyle Business Club. 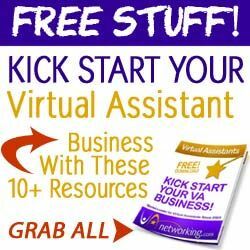 I started a Virtual Assistant business in 2006 while working at a dead-end factory job as a single mom. I quit nine months later and have been living my version of the Laptop Lifestyle ever since. I now run a membership site for people like me and I teach group training. Active – This is income you make for direct work. An example is a service like website design or ghostwriting. Another example would be my doing a group coaching program like my Natural Email Marketer course. Both examples involve our time in exchange for a certain amount of money. Passive – This is the kind of income you will get even if you aren’t currently doing any work to get it. A good example is an email autoresponder that promotes an ebook that gets delivered automatically. You might get occasional sign-ups to your list from google searches, they get your email about the ebook and you get a sale. All without touching anything after the initial setup. Recurring – This kind of income comes in month after month, without you having to resell anything. Recurring income could be for active services or offers or it could be for passive products or programs. People get confused with passive income and think it’s: work once and the money keeps rolling in. Then they get disappointed when that doesn’t happen and they give up on this idea. But don’t give up on passive! It’s true it’s not a one-time effort. 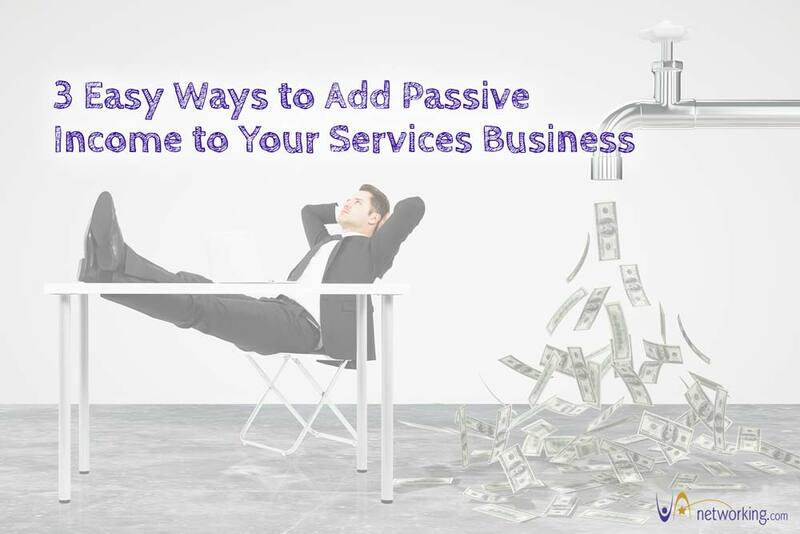 To create great passive income you need to work at it on a continual basis, always tweaking and adding and growing your passive income piece of the pie. Write up a sheet of recommended software, services and programs that your customers ask about and that you are normally mentioning all the time, anyway. Then, when working with a new client or on a new project, hand this out to your clients. Your clients VALUE your input and this will become an important resource to them. Add this as a page on your website, too! If you blog for your business an easy thing to do is go back to any posts you get some traffic to and add an offer to them. Make sure it’s highly relevant to the blog post content itself. Then give your post a nice boost, again, by scheduling it into a social media planner like Edgar. You’re already building your email list, right? Right? I hope so! If so, then you have this great opportunity to add an offer on the confirmation page. You can then earn income on a product you’ve created or an affiliate product as a bi-product of growing your email list. Here’s a tip: Look for passive-recurring opportunities. The only thing better than just passive is if it then repeats over and over, every month! When you promote a membership site as an affiliate, you’ll earn passive recurring income. That’s just one example and there are others. I’d love to answer any questions you have in my VA Virtuosos session or if you missed it, you can always contact me on my Facebook Page here. I quit my job in 2007 to work from home as a Virtual Assistant, after nine months since starting. I learned so much from working with clients but I always wanted to run my own show. I learned a heck of a lot from working with successful and awesome clients, plus doing my own little businesses along with way. I transitioning to selling coaching programs in 2010 and then by 2012 I quit client work completely. 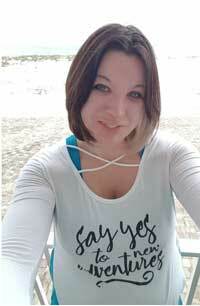 I now also run an amazing supportive online group for those wanting total lifestyle business freedom called the Laptop Lifestyle Business Club. We welcome service providers with open arms! More on the club right here.